Diamond engagement rings are now gaining momentum more than ever since the turn of this century. 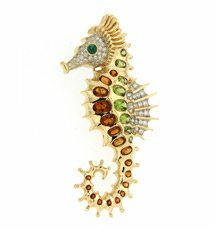 With jewelers working their way to inventing new and elaborate designs, the success stories are rife at this point. The halo design in rings and pendants are starting to show more and more promise, and with some recent introductions, the future looks bright for this particular feature. 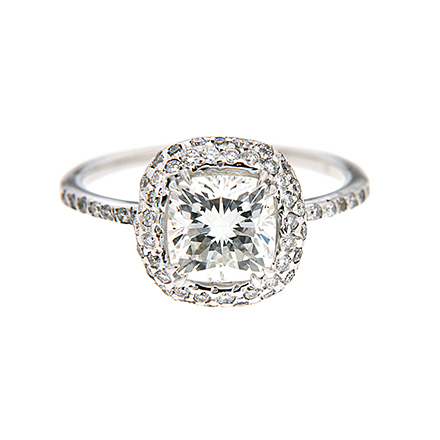 A new design called the French cut halo is gaining prominence in rings. Set with a large cushion-cut diamond, this design is fast becoming every woman’s dream. When looked closely, the French cut cushion halo can be separated into three key components. The first is the center stone. This design leans on the stone with all its weight. So, there is no getting around the investment on a pretty large stone. The larger the stone is, the more gorgeous the ring looks. Now, that does not mean anything within 2 carats will be too insubstantial for the design. You can safely choose anything between one and two carats to do justice to the design. For the cut however, pick at least a good-grade cut. The halo feature in the French cut cushion design is a skinny string of diamonds that go around the center stone hugging it tightly. 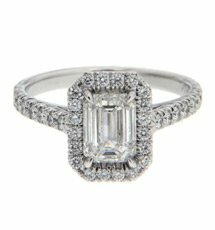 As a result, the halo assumes the shape of the cushion cut of the ring. Unlike a conventional halo, this French cut design exhibits a slightly boxy halo which, if anything, enhances the uniqueness of the design. 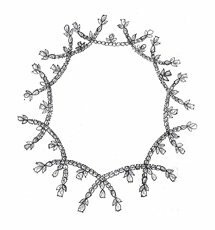 This design does not require a double halo, if the right stone size is chosen. Usually, the stones in the halo are prong set on all four sides like the center stone. Small round-cut diamonds are used to form the halo in most designs. The bands are not spared of details, at least not in parts. To balance out the generous use of diamonds at the center, the rings are usually dotted with diamonds along the shoulders of size similar to those used in halo. 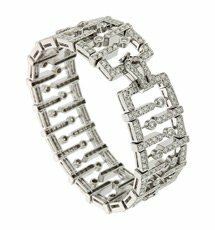 Although the other half of the band is left untouched, the frontal half is thoroughly fitted with sparkling diamonds. It all adds up to the entire feel of the design. The French cut cushion ring is available in all the shades of gold and exclusively in platinum too.